Since 1956 cavers, geologists, biologists and other researchers have been documenting the Missouri underground. Up through the 1990's all records on Missouri caves were kept in the Master Cave Files within 16 filing cabinets and a set of maps drawers at the Missouri Geological Survey in Rolla, with satellite files which have roamed the state, regionally. In the early years of the MSS a Cave Catalogue for the State of Missouri was published and provided to affiliate organizations. Over time this practice waned to keep data better managed, making individual requests for specific data the preferred method, a practice still used. Today the MSS maintains the Missouri Cave Database which includes locations, descriptions, trip reports, faunal records and map information. Currently there are over 6,900 known caves in the state of Missouri. The MSS defines a cave as any natural feature within bedrock enterable by humans for an appreciable distance. 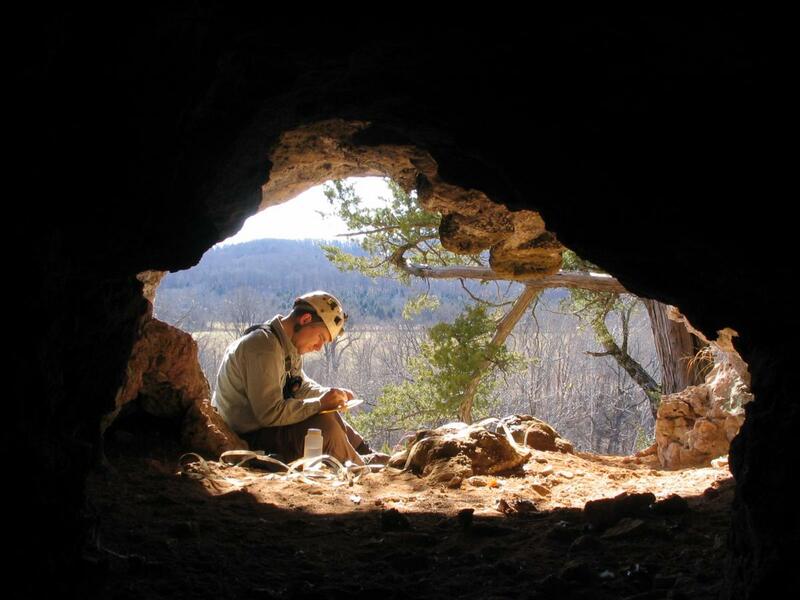 The Missouri Cave Database is used by cavers across the state. Typically, cooperators have access to specific regions or counties which they are working in. Access to data is based off of one's purpose and contributions. 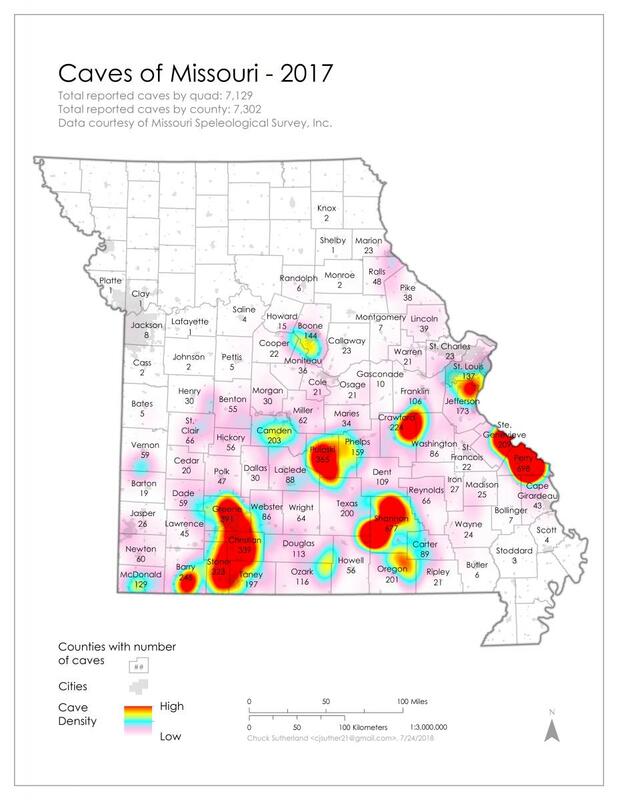 In addition to cavers, information from the Missouri Cave Database is sometimes shared with state and federal agencies in the name of protecting, preserving and managing Missouri caves and karst. The MSS does not give out cave locations for purely recreational caving; however, there are a many tasks needing to be done which supports the goals of the MSS and for which data is granted. The Missouri Cave Database is an unfinished endeavor and a continual work in progress. Improving locations, writing cave descriptions, updating land owner information, etc. are all helpful contributions for which data may be granted. Though again, it often depends upon the merits of the individual or group requesting data. The best way to get information on Missouri caves is to get involved.